Being a Free Spirit is the ability to drift from location to location with style and ease. Travelling until your heart’s content without a care in the world. The Free Spirit offers the ultimate travelling experience and the only way you can truly become a Free Spirit is in the luxury of an Avida Winnebago motorhome. The Avida Winnebago Free Spirit is a spacious motorhome with features that will make your journey not only thoroughly enjoyable but totally memorable. There is endless space with a spacious dinette with uninterrupted views, double bed cab over and comfortable lounge which converts into additional bedding. Now your family and friends can comfortably join you on your journey. The kitchen contains a four burner stove with mini grill and fridge/freezer combination. Overhead cupboards and wardrobes are spacious and allow for all your items to be stored securely in your Free Spirit motorhome. Now being a Free Spirit doesn’t mean having to leave all the comforts of home. When adventuring in the Free Spirit, your motorhome is one element which enhances your ability to be free. Leave no stone unturned, search every inch Australia has to offer in your Avida Winnebago Adventurer. 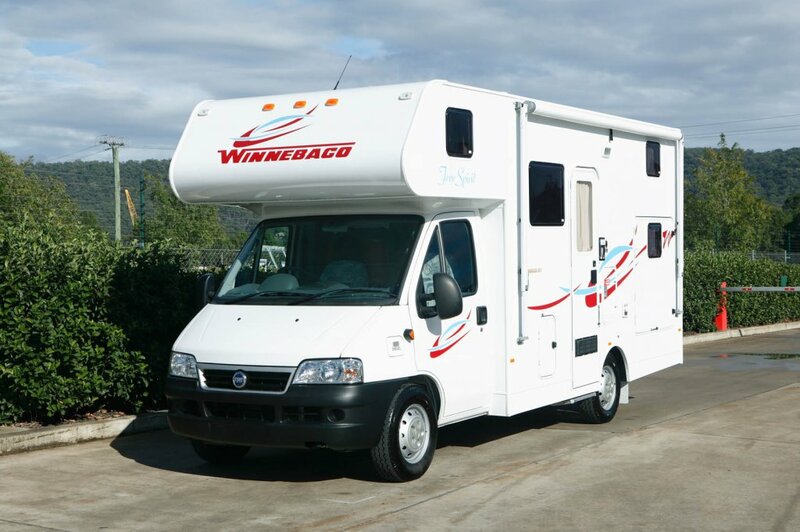 The Avida Winnebago Free Spirit is no longer manufactured and isn’t able to be purchased as a brand new motorhome. You should see the Avida Leura and Avida Birdsville ranges which have similarities to the Free Spirit.